Savvy FIFA 18 career mode players know that right midfielder is a key position you can build your entire squad around. If you’re looking for a world-beater in the making who will rival the best of the best with a little patience, but also offers solid stats right off the bat, Bayer Leverkusen’s Kai Havertz is your man. At first sight, Bayern Munich’s Kingsley Coman (82 rating) appears to be the prime target from the Bundesliga’s crop of young RMs. The Frenchman is famous for his real-world exploits and his virtual counterpart offers blistering pace coupled with fine dribbling abilities, but luring him away from Bayern is a very tall order and his potential for growth pales in comparison against Havertz’. The Werkself’s wonderkid starts off at 75 overall rating, which is more than respectable for an 18-year-old. However, with some game time and training, Havertz can reach a whopping 89 overall, one point ahead of Arjen Robben. Leverkusen’s midfield sensation is also left-footed, but, in contrast to the speedy Dutchman, he poses a bigger threat in build-up play coupled with that deadly dribbling and finishing. With Havertz in your team, you will enjoy the coming of age of a true puppet master operating from out wide. 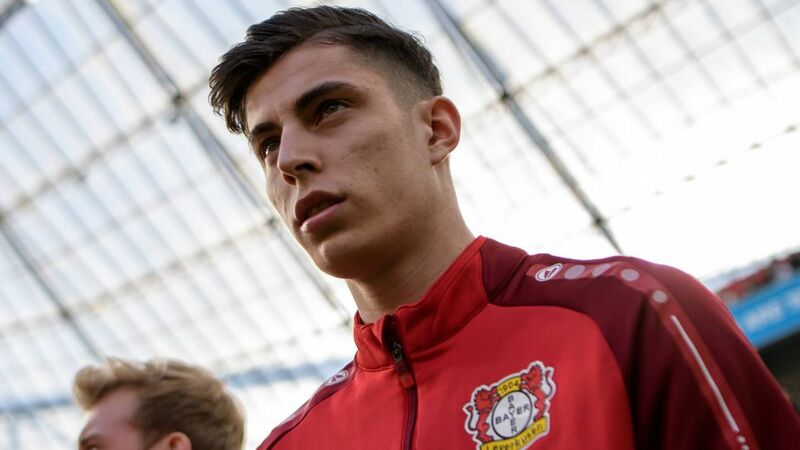 Kai Havertz is hardly a discovery at this point. He already made headlines last season bursting onto the scene at the Bay Arena. After making his professional debut with Leverkusen aged only 17 he quickly became a first team regular and finished the year with four Bundesliga goals and five assists to his name. Havertz managed all of this while still enrolled as a high school student. For the 2017/18 season, the recent graduate has been shifted to a more central position. Leverkusen head coach Heiko Herrlich did what a lot of FIFA 18 players will do once they see his detailed statistics in deploying him mainly as an attacking midfielder. Havertz’ numbers have adjusted to this shift accordingly, focusing more on assisting than scoring, with two goals and seven assists in 21 appearances so far this campaign. Havertz acts as somewhat of an offensive anchor. His height of 6'1" allows him to win aerial duels frequently and use his body to protect the ball. His control is exquisite and defenders find it difficult to force turnovers when he’s in possession. As highlighted by his in-game attributes, he also boasts a clinical eye for opportunities and very secure passing skills. It’s no wonder then that Leverkusen’s wonderkid draws upon another great German playmaker for inspiration. “I look up to Mesut Özil”, said Havertz. “He plays football the way I like it. He’s always calm with the ball, never stressed. I love watching his games”. Mesut Özil’s current overall rating is 87. If you can foster Havertz to reach his full potential, you’d have the next great German playmaker for a fraction of the cost. Watch: Havertz' Leverkusen teammates take on the FIFA 18 Free Kick Challenge. Click here for more Bayer Leverkusen news, views & features!